Mixing your own paint is like a rite of passage. It’s the next step in your education in using phosphorescent paint. It’s also not complicated and very simple to learn. Once you understand the basics you’ll be able to mix paints for countless different applications. Why Mix Your Own Paint? The cost of mixing up your own paint will often save you over 50% of the cost of buying pre-mixed paints. The pre-mixed paints water based paints from the suppliers that I have used are all pretty thick. This leads to problems when trying to use the paints for creating special effects where a thinner paint would be better. Not only are pre-mixed paints thicker they all are generally made up using 2lbs of pigment to 1 gallon of medium, or a 1:4 ratio. This ensures that the paint will apply a generous amount of pigment. Once again for certain effects this loading can be too much. Some pre-mixed paints just don’t have the shelf life that you would expect. Now if you’re using the paint up in a short time then this is not an issue. However, if the paint sits for many months then sometimes the paint can and will separate laving you with a useless jar paint. When these paints separate it’s not often possible to mix them back up. I’ve seen the problem with white more than any other but I’ve read posts of people experiencing separation with other colors too. Now I’m no material scientist so this is a very basic chapter on what makes up paint. This is the phosphorescent powder that provides the color and glow. It can be purchased in various forms. For water based mediums you need powder that is listed as being “coated” or “Hydrolysis Resistant”. Uncoated powders will break down in the presence of water. Also powders come in different particle sizes. Generally speaking the smaller the particle size the shorter the glow time. Particle size is more important when trying to use an airbrush where larger particle sizes will clog the airbrush. Most pre-mixed paints use the largest particle size available to produce the longest glowing paints. The medium is the binding agent that you put the pigment into. It essentially serves as the glue which fixes the pigment to the surface you’re painting on. Mediums come in varying thicknesses from runny to toothpaste. They also come in various finishes from matte to gloss. The thickness of the medium also dictates how well the pigment will be suspended. Glow powder is a very large pigment compared to traditional color pigments. As such combining glow powder with a too thin medium will cause the powder to sink and settle at the bottom. Usually you can simply stir the pigment back into the medium. Sometimes, if left for a very long period, the powder can congeal at the bottom rendering the paint unusable. Thinner is a liquid suited to the medium that allows the user to thin the medium out without ruining it. For water based mediums you need to use an Acrylic or Latex thinner. Using water works if you’re using the paint immediately but does not store well. 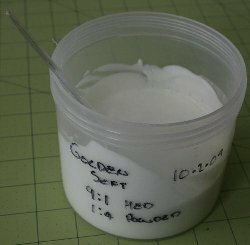 You can buy powder that can be used to thicken paints that are too thin. I’ve only come across thickeners that add a matte finish. So the best option here is to add a thicker medium to the paint. Choosing the right products is important. Here you have the ability to make decisions that not only affect all aspects of the paint from glow duration, shelf life, application and final appearance. As I mentioned earlier it’s best to choose a powder that is compatible with water based mediums. However, you can use uncoated powders if you plan on making small batches of paint that you’ll use up immediately. The medium is the make or break decision. It affects not only how you can apply the paint but also how well the powder will glow and how the paint looks during the day. Most pre-mixed paints use a rather thick medium that dries to a gloss finish. This is ideal for most applications. However, if you were to paint a large Milky Way across the ceiling then during the day you might notice a sheen where the paint was applied. Stars on the other hand should always use paint that has a gloss finish to maximize the glow of the paint. These come in various thicknesses and finishes. They are best suited to creating paints that you use to paint stars. Thinned with the correct thinner they will have an extremely long shelf life and the powder will not sink to the bottom. This isn’t rocket science but using the right tools and supplies is important. Empty jars to store paint in. The medium is the foundation of your paint. It is important to get this step right before adding the pigment. Depending on the type of paint you are making you’ll use varying ratios of medium and thinner. 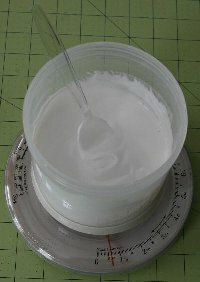 Add the required amount of medium to the mixing jar and then add thinner. It’s better to add the thinner slowly than all at once. This is because it is far easier to thin the paint further than thicken it back up if you add too much. Measure the correct ratio of pigment. 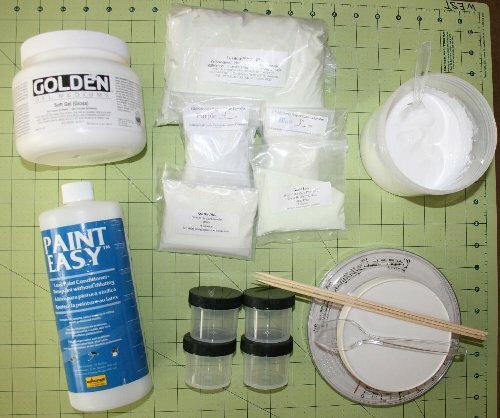 Add the pigment to the medium and stir in with a wooded or plastic stirrer. Stir gently and do not use a metal implement to avoid damaging the pigment. I ensure that I label every pot I make up. So that at a glance I can determine what is in the pot and how to make more of it. Also if at some time the paint happens to go bad I’ll know what I used to make it to help in determining what went wrong. This is probably the most common glow in the dark paint you’ll need. I’ve played with various recipes but have settled on this one. Any pigment safe for water based mediums. Mix the medium with the thinner at a rate of 8oz of medium to 1/2oz of thinner. Get the medium right before adding powder and add the thinner in steps because it’s easier to thin the medium than to thicken it if you add too much thinner. You’re looking for a consistency like Ketchup. Mix pigment to the medium at a ratio of 1oz of pigment for every 4oz of medium. 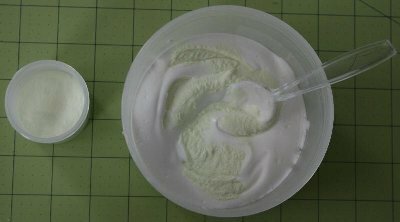 Stir in well to ensure that the glow in the dark powder is evenly distributed. Star Mural Paint for Effects. I’ve used the thicker glow in the dark paint for this but you really have to be careful to not apply too much and that’s rather hard with the thicker paints. I’d always end up thinning the glow in the dark paints before use. Now I just make them thinner as I need them. If you store them it’s likely that the pigment will settle but you should be able to stir the pigment back into the medium. To avoid this hassle I just mix up enough glow in the dark paint for each job. 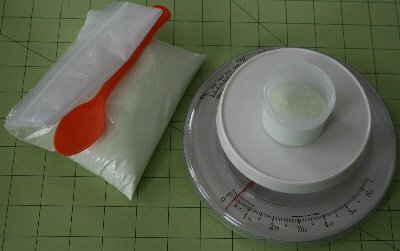 Mix the medium with the thinner at a rate of 2oz of medium to 1oz of thinner. Get the medium right before adding powder and add the thinner in steps because it’s easier to thin the medium than to thicken it if you add too much thinner. I like this to be runny so it’s easy to apply to rags and sponges. Mix pigment to the medium at a ratio of 1oz of pigment for every 4oz of medium. This is the one recipe that I play with often. By increasing the ratio of medium to pigment you can make it easier to apply fainter effects. Note that to make an area appear less bright we have to apply less pigment. The easiest way to do this is to add less pigment to the paint. You end up painting more medium on the ceiling than pigment and as a result have more control over the application of the pigment.